ReutersStaff uncover a Great Wall Motors Haval M4 mini SUV during the media preview of the 10th China International Automobile Exhibition in Guangzhou November 22, 2012. The world’s biggest car market, and the major driver of global growth in recent years, is showing signs of slowdown. Several major auto manufacturers, including Honda and Nissan, are downgrading their Chinese sales growth forecasts for this year, while General Motors (GM) recently posted its slowest monthly pace of sales growth in China for over a year and a half. BMW’s chief executive, Norbert Reithofer, believes the slowdown marks the beginning of China’s transformation into a mature auto market, effectively spelling an end to high double-digit growth rates. Car ownership in China has doubled over the past decade, increasing from 34 vehicles per 1,000 people in 2009 to 69 per 1,000 last year. Investment in road infrastructure, an easing of purchasing restrictions and rising incomes-the latter of which has led to a swelling of the country’s middle class-have all fuelled a significant rise in demand for passenger cars in recent years. Passenger-car sales growth reached 15.7% year on year in 2013, more than double the 6.9% growth rate from the previous year. 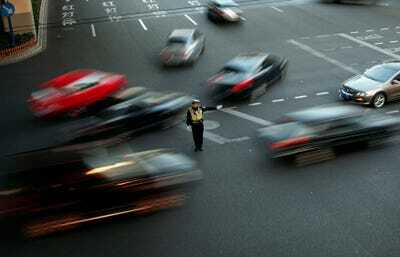 Carlos Barria/ReutersA policeman directs traffic at a busy street of downtown Shanghai December 5, 2012. 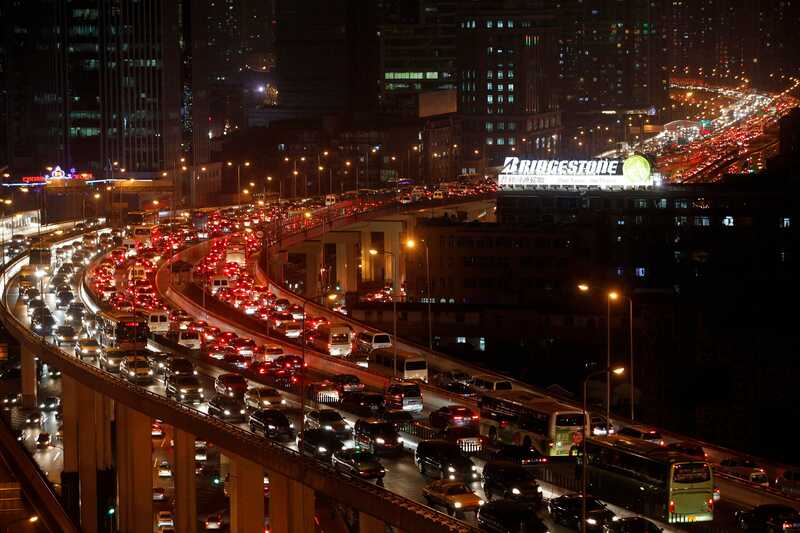 While the opportunities are vast in China’s estimated $US50 billion auto insurance industry, there are roadblocks aplenty. During 2014, growth rates have slowed again, however. During the first nine months of this year, China’s total vehicle sales rose by just 7% year on year, with September’s growth at just 2.5%. With the commercial vehicle market already in decline, passenger car sales were slightly stronger, with nine-month growth at 10.4%. But September’s growth in car sales was just 6.4%, according to the China Association of Automobile Manufacturers (CAAM). The news is not all bad. The Chinese government has published plans in May of this year to introduce stricter emissions targets over the next two years. Company sales figures for the month of October suggest this slowdown has continued. GM recently reported sales growth of 3.2% year on year in October, to 291,371 units, its slowest growth rate in 20 months. Sales of the company’s Wuling-brand vehicles, which make up around one-half of GM’s total vehicle sales in the country, were the main drag on overall sales growth, falling by 10% year on year to 121,540 units. At Honda, meanwhile, car sales fell for the fourth consecutive month in October, by 5.8% year on year, to 70,802 units. September was an even more painful month for the Japanese carmaker, with sales falling by 23% year on year. Nissan is also suffering: its China sales fell by 12% year on year in the third quarter of this year, to 259,000 units, while October sales fell by 9% year on year, to 104,400 units. Yuya Shino/ReutersTetsuo Iwamura, Executive Vice President of Honda Motor Co.
Not all car manufacturers are suffering. In late October, Volkswagen announced that its China sales to September this year were up 15% year on year, extending its lead at the top of the market. 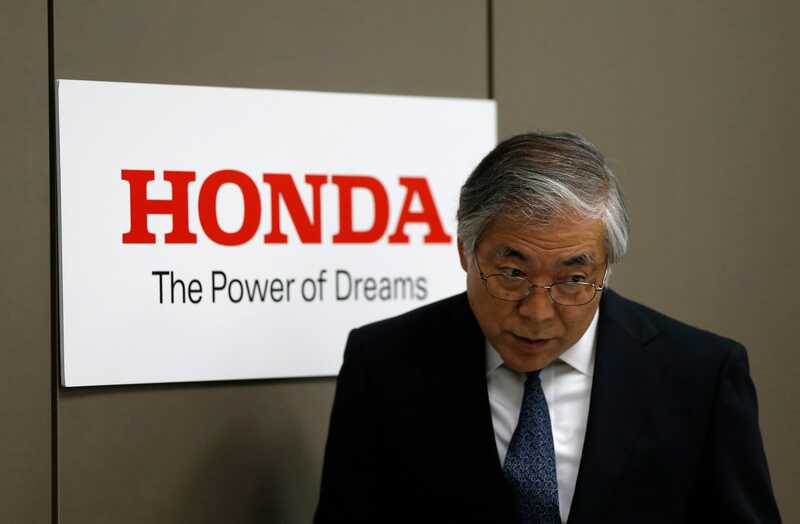 Nevertheless, several carmakers have taken the queue to Honda has now cut its full-year sales forecast by 10%, to around 800,000 units, while the full-year sales forecast for Nissan has also been downgraded, by 11% to 1.27m units. If that happens, it means that Nissan’s sales for 2014 will not have grown at all compared with 2013. The Economist Intelligence Unit’s forecast for the total market this year is less gloomy. 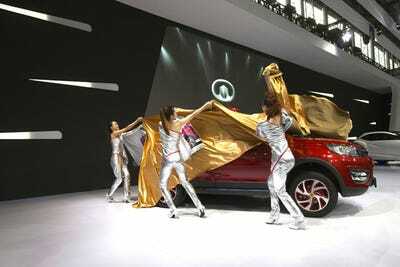 We expect China to end the year with sales growth of 8.9%, which would bring total car sales to another record of 19.5m. Even so, that is not much more than half the growth rate of last year. That the Chinese car market is struggling is unsurprising. An economic slowdown in China has been coupled with the effect of weakening currencies in markets such as South America and Russia. Along with escalating real-estate prices, eating into consumers’ income, this is dampening consumer demand. There are longer term factors at play, too. Less bullish GDP growth prospects over the coming years are partly driven by a fall in the country’s working-age population and a shift in manufacturing to lower-wage countries such as Mexico. They also reflect the government’s drive to rebalance an economy, whose growth has been fuelled by a high rate of credit growth. 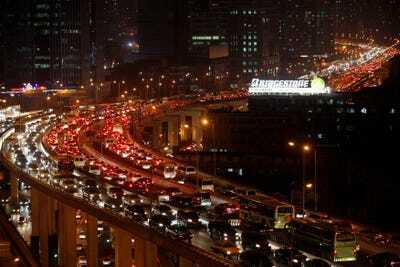 Aly Song/ReutersVehicles drive on a flyover during the evening rush hour in central Shanghai. Auto-specific factors are dampening demand, too. While China’s car penetration rate remains well below that of developed OECD countries, it is now around the expected level for China’s GDP per head. This suggests that years of pent-up demand have come to an end. Arguably the biggest obstacles to further growth, however, are the high levels of congestion and pollution in many Chinese cities. The Chinese government is being pressed into action over the resulting health, lifestyle and business problems. Licence plate quotas and other restrictions are already in place in six Chinese cities. The news is not all bad. The Chinese government has published plans in May of this year to introduce stricter emissions targets over the next two years. That could result in up to 6m vehicles that do not meet these targets being taken off Chinese roads by the end of this year, which could support demand into next year. Yet carmakers will have to adjust to tighter pollution controls, more intense competition, and ultimately much slower market growth. The Economist Intelligence Unit does not expect annual growth rates to go much above 6% for the next five years.